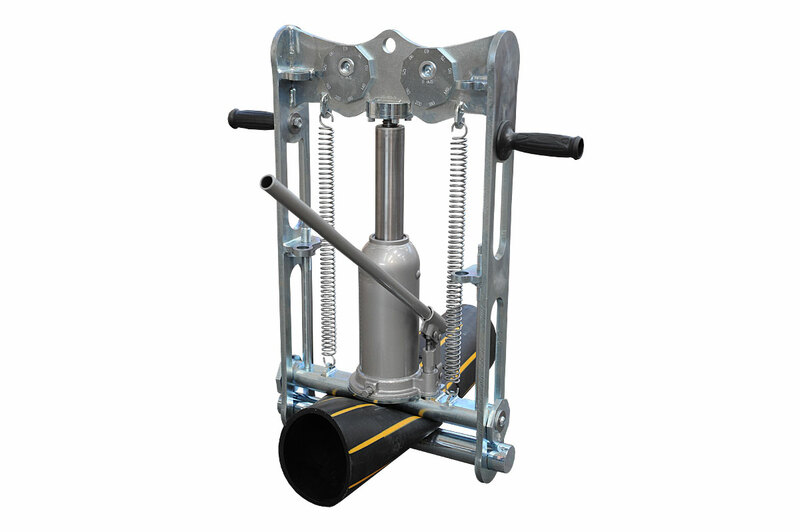 SQUEEZER 63-200 is an hydraulic squeezer, very effective and useful in the worksite, to stop the gas or water flow in the HDPE pipelines from Ø 63 to 200 mm - SDR 11, SDR 17. Thanks to this all the works on the line can be done in the highest safety conditions. 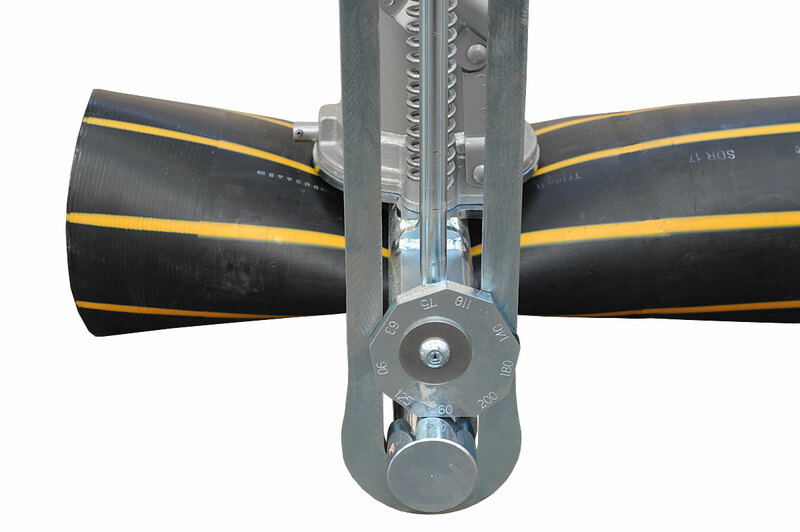 The squeezing action on the pipe is possible thanks to a hydraulic cylinder which is manually actuated by the operator with a pressing lever. The resulting strength is transferred to two cylindrical rods which squeeze the pipe till the interruption of the flow. The SQUEEZER 63-200 is easy to transport thanks to two handles and its steel frame. On its sides the SQUEEZER 63-200 is equipped with two metallic rods for safety protection in case of pressure losses or accidental impacts. Moreover the standard configuration of the SQUEEZER 63-200 includes the stoppers for SDR 11 and SDR 17 to set according to the pipes diameter.